Every year on December 1st, we commemorate World AIDS Day and re-commit to addressing HIV/AIDS, a disease that affects approximately 35 million people worldwide. 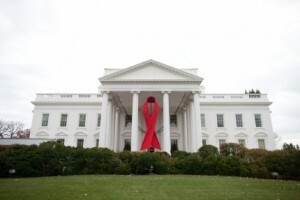 The White House will honor this worldwide observance on Monday, December 1, with an important World AIDS Day event focusing on this year’s Federal theme, “Focus, Partner, Achieve: An AIDS-Free Generation.”Tune in to the live webcast of the White House World AIDS Day Event on December 1.We invite you to tune in to this event as part of your own observance activities. The event will be webcast at www.whitehouse.gov/live. For more information about World AIDS Day and how you can take action, visit our World AIDS Day page.